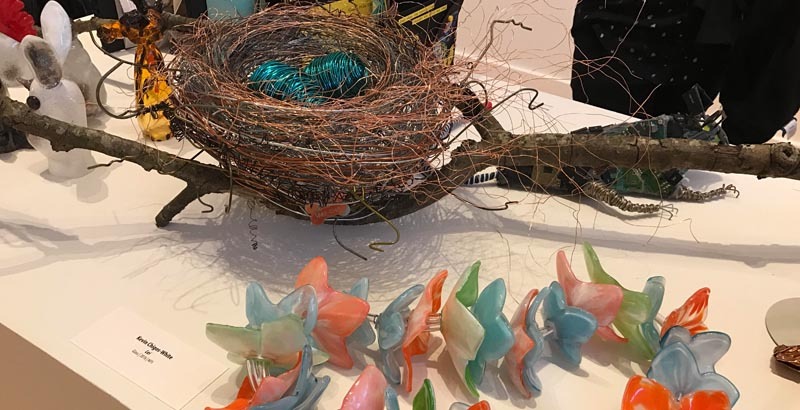 Tidewater Community College’s Visual Arts Center (VAC) held its 46th Annual Student Art & Design Exhibition awards ceremony on April 2. 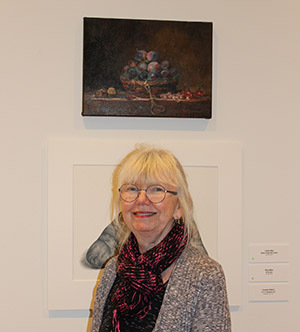 Chesapeake’s Carolyn Riley won the President’s Award for Basket of Plums After Chardin, a master copy of the 18th-century French painter’s work. 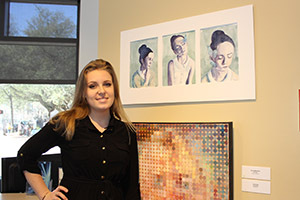 Riley, who holds a bachelor’s in design from the Corcoran School of the Art & Design in Washington, D.C., is pursuing her Associate of Applied Arts in Studio Arts at the VAC. Virginia Beach’s Kirsten Whitehouse won the VAC Purchase Award for her watercolor, Daydream. She will graduate with her Associate of Applied Arts in Studio Arts in May with plans to transfer to Christopher Newport University. Portsmouth’s Tyler Greenwell won the Provost’s Award named for Michelle Woodhouse for his glasswork titled In School Suspension. Greenwell is working toward his Associate of Applied Arts in Studio Arts. 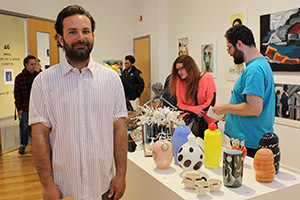 The show, which features more than 200 works created by students for art classes since last May, will be on exhibit through April 23 at the VAC. Below is a complete list of all student winners.